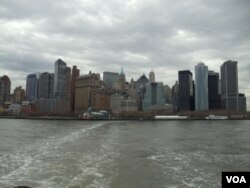 Recently I traveled from San Francisco to the east coast, for what was a lifetime opportunity to see the real America. When I say “real America” I don’t mean fast food, Hollywood or skyscrapers, but rather the history and culture. Like many other people I also had this perception that America starts with Christopher Columbus and ends with a continuous progressive nation forever. Before last week I was of the view that America has a past but no HISTORY, as it is such a young country. But I was wrong as I saw the place where revolution started, where leaders like Benjamin Franklin worked and struggled for independence and brought a revolution. Traveling together were a group of 48 international students from San Francisco, CA, Miami, FL, Scottsdale, AZ and Fairfax, VA. This was the year-end retreat for our program, which included workshops, networking and discussions about our experiences in the U.S. Early in the morning when I had to be aboard the bus for Philadelphia, I was really annoyed. 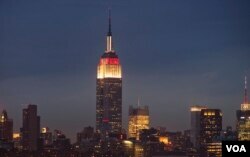 After all, who really wants to go to Philadelphia after living in New York City and feeling its hype for two days? During the journey on the bus I was just cursing nobody that they planned for us to see Philadelphia when we could have stayed in New York for one more day. But some real big surprises were waiting for me. The moment I entered into the city of Philadelphia (or Philly, as many people call it), I was mesmerized - not by lights, diversity, modern architecture, or skyscrapers, but to see that America truly has a rich history that has been well documented and preserved. Most international students think that Washington D.C. was the capital of the U.S. from day one, but actually, after the ratification of the U.S. Constitution this city was America’s temporary capital while Washington, D.C. was under construction. Philadelphia is a city that is not busy as NYC, not as diverse as San Francisco, and not as much of a tourist attraction as Las Vegas, but the city is proud to have a lot to show you. Our group went on the Constitutional Walking Tour, which takes you around the major sites of Philadelphia. We saw sites like the Liberty Bell and a graveyard where many American leaders are buried. 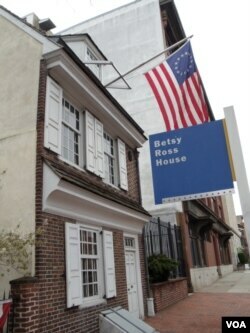 But one of my favorite things we saw on the tour was the Betsy Ross house. Despite all the emotions attached to America’s flag – some good, some bad, depending on where you live - it is an undeniable fact that anyone of us can identify two flags instantly; our own national flag, and the American flag. Betsy Ross sewed the first American flag in 1776, and the nation has paid a great tribute to her efforts by preserving her house in Philadelphia. It was so inspiring to think of Betsy Ross as a person whose individual contributions are alive forever, even outside of this world (as American flag is flown on the moon, and in space too). Another thing that I did in Philly was to visit the Philadelphia Mint, where you can actually see money being made. Who would not like to watch that? 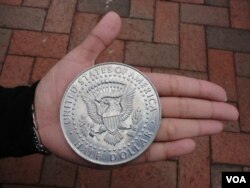 I got to see some early coins and learn the story behind America’s currency. It was a self-guided tour so I strolled through the visitor's gallery and viewed the modern coin-making process above the factory floor: huge machines that work 24 hours a day, five days a week. And I saw the original coining press used in 1792. They told us that coins were practically made by hand then. According to the Mint, it took coiners three years to produce the American nation's first million coins and today it can just be done in 30 minutes. It’s also worth sharing that the coiners in colonial Philadelphia worked 11 hours each day, 6 days per week and they would earn about a dollar a day. Like many of us, I daily come across few symbolic icons, but I was unaware of their true meanings and importance. Observe the dollar bill, and you will see “E pluribus unum,” Latin for "Out of many, one." This was meant to suggest that from the many colonies of America would emerge a single nation. I counted the letters of this dictum while walking in the US Mint and observing the coin making process and realized that they were 13, which is usually considered as a very unlucky number. But in America the number 13 has a different significance as well, since there were thirteen original colonies that came together to form the country. It was in Philadelphia, by the way, where the founding fathers of America signed the Declaration of Independence that declared their separate into an independent country. So guys, if you ever already have visited your wish list cities, like New York, Las Vegas, Los Angeles and San Francisco, then Philadelphia is the best place to see. It’s worth seeing if you really want to know how and where a country like America was born. Next time whenever I will see an American flag, a dollar bill, or America on the world map, I will miss you Philly.